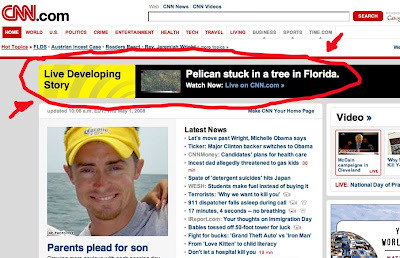 Hey CNN- thanks for breaking this story for us, as you know the internet would be nothing if it weren’t for people obsessed with Pelicans and you totally seem to have your finger on the pulse of the web-viewing public. How are there no comments on this?? Hilarious.